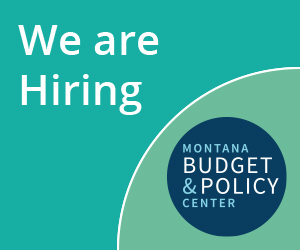 For budget dorks like us at the Montana Budget and Policy Center, there are few days that get us excited enough to celebrate. One is April 15 – Tax Day, the other (and possibly most exciting) is July 1st – the start of a new fiscal year. To honor and celebrate this important day, we decided to dedicate this week’s wonky word to fiscal year. If you’ve worked in a business, nonprofit organization, or for the government, you are at least familiar with the term. Fiscal year is a period of time used for calculating yearly financial information. It is basically the period of time a business runs its budget and “opens and closes” its books annually. Seems simple right? Generally it is, but different entities operate on entirely different fiscal years. Montana and many other states have a fiscal year from July 1 – June 30. HAPPY NEW FISCAL YEAR MONTANA! The federal fiscal year is Oct 1 – Sept 30 each year. Many universities operate on the July 1 – June 30 cycle because it is similar to the school year. Over half of the publicly traded companies in the US follow the calendar year as the fiscal year. Nonprofit organizations have a wide range of fiscal years and can be anytime an organization chooses. The two most popular coincide with the calendar year and the July-June cycle. The third most common is the Oct – Sept cycle like the federal government. (That is how we roll here at the Montana Budget and Policy Center.) However, some choose anniversaries or other programmatic dates as the start and stop of a fiscal year. The State of Montana is currently wrapping up fiscal year 2014 or FY14 for short. The Legislature meets in odd numbered years and appropriates funding for the two upcoming fiscal years. For example, this last session (spring of 2013), the legislature funded fiscal years 2014 and 2015. So as we write, agencies are busy reminding staff to turn in receipts and invoices so the state can close the chapter on one year and begin FY15. So happy fiscal year everyone! We included a cartoon just for you. And remember, be safe and always find a designated driver for your fiscal new year celebrations. Check back each Wednesday for more wonky words. If you have suggestions, email me at tjensen@montanabudget.org or post something to our Facebook page.